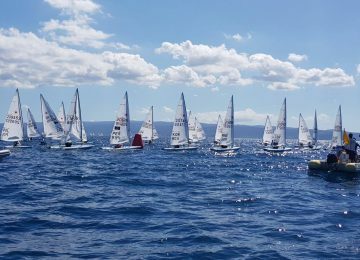 Three new races under 10-14 knots and strong current heading upwind were added to scores today in Split, Croatia. 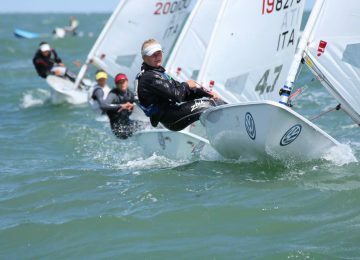 The 2017 Laser World Championship has completed now 10 races and wait for the last day tomorrow to define our new 2017 Laser World champion! 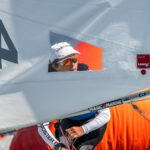 Great day for Pavlos Kontides CYP (1-1-1-3-1-DNF–26-2-1-5), now looking recovered of that broken sail on third day and yesterday’s bad single race result. 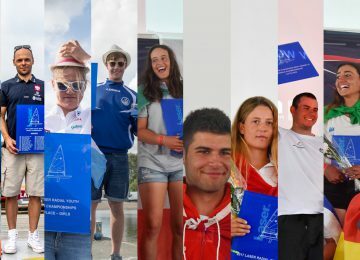 Cyprus sailor has jumped from 7th to 1st place overall and comfortably reconquered Worlds leadership with 15 points. A long day with 3 races. A 1st a 2nd and a 5th place sent me up to the top of the competition. 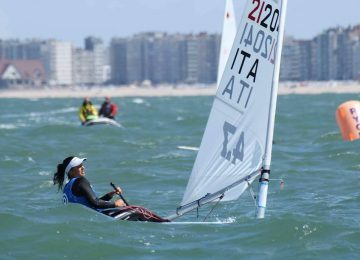 Time for rest until tomorrow’s last two races – Pavlos Kontides. Jean-Baptiste Bernaz FRA (2-2-7-1-2-1-10-30-2-40) had a bad day instead and made it the other way round, dropping from 1st to 7th overall with 50 units. 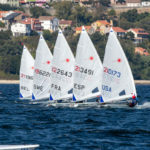 Australian sailors Tom Burton AUS (18-2-6-7-1-1-5-4-4-23) and Matthew Wearn AUS (9-3-1-1-2-2-11-24-5-6) are 2nd and 3rd with 30 and 31 points respectively. 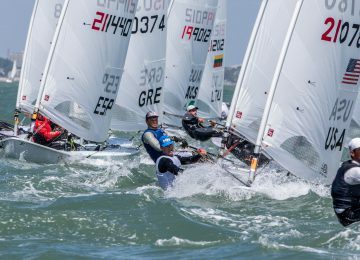 2015 and 2016 Laser World champion Nick Thompson GBR (3-5-8-3-1-DNF–20-1-13-14) is 6th with 48. 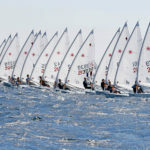 Francesco Marrai ITA (5-15-7-8-DNF-1-19-8-7-9) and Lorenzo Chiavarini GBR (2-3-12-4-17-7-47-16-6-15) are also among provisional Top 10, in places 9th and 10th. Waiting for the last two races tomorrow so stay tune! 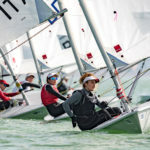 2017 Laser Worlds – Full results. 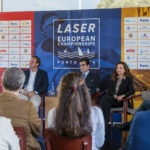 By Agustín Argüelles – EurILCA | Photos vía Laser Worlds 2017 on Facebook.